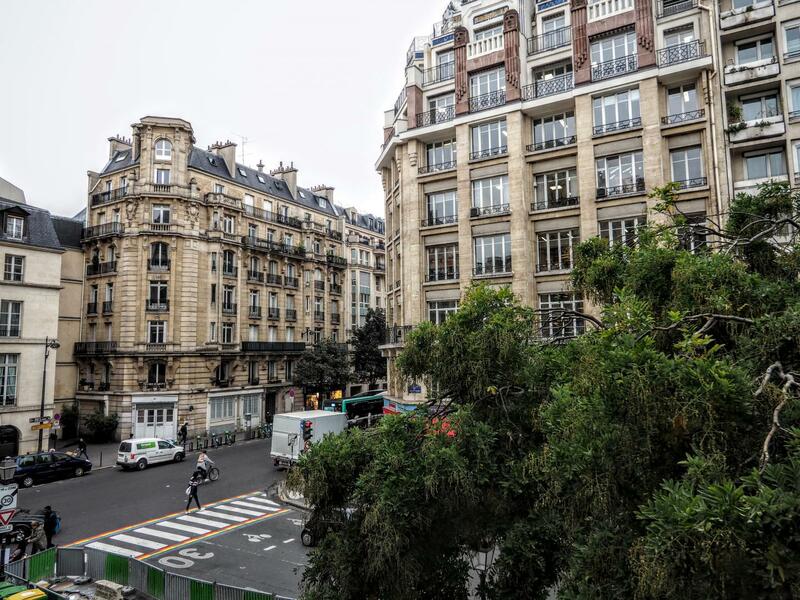 Welcome to the very heart of Paris! 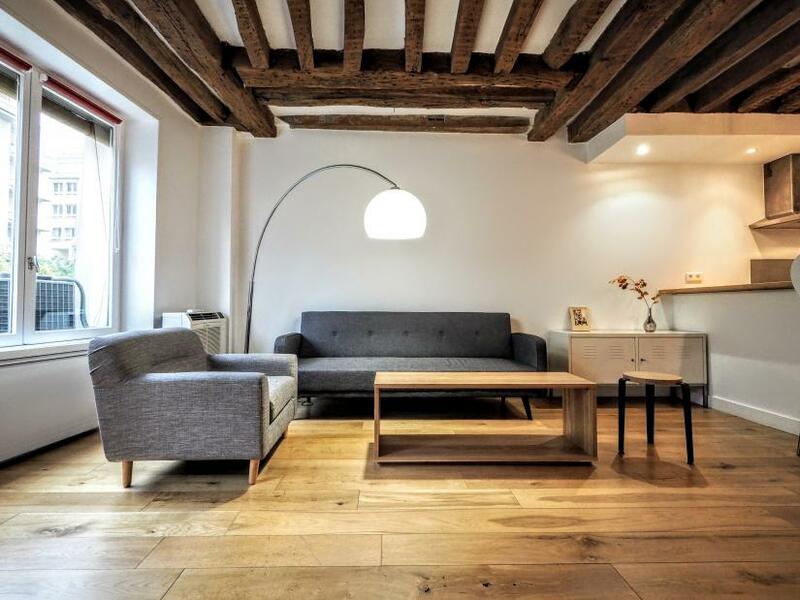 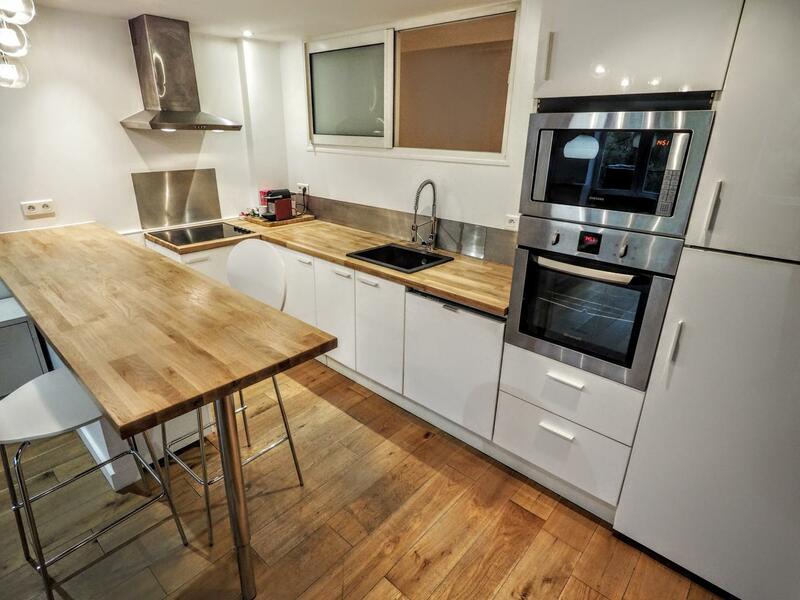 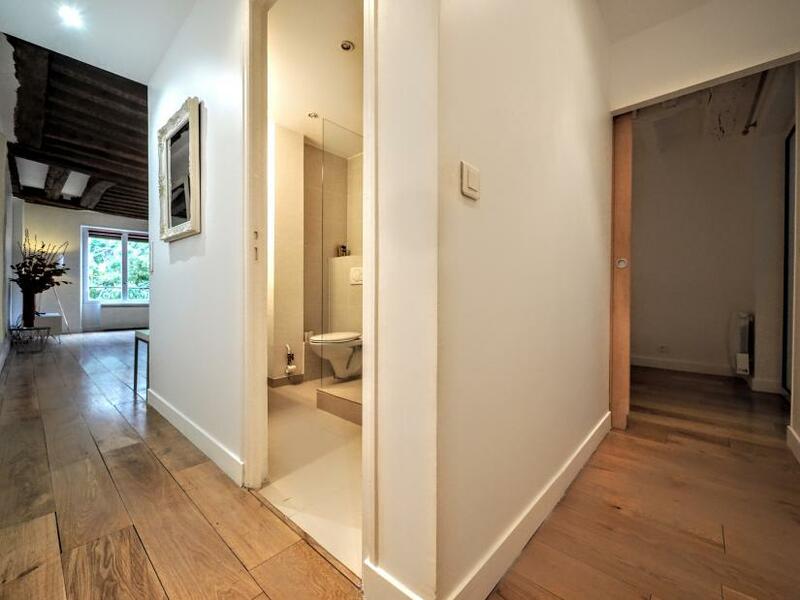 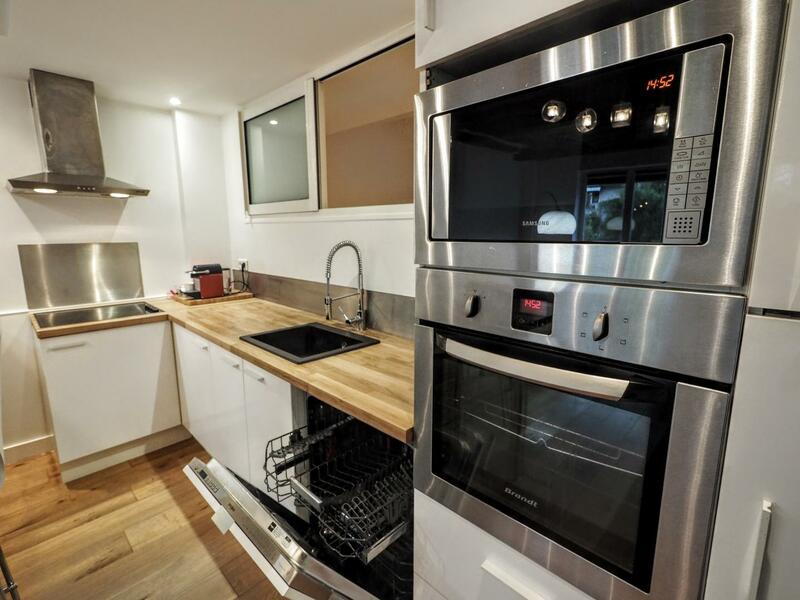 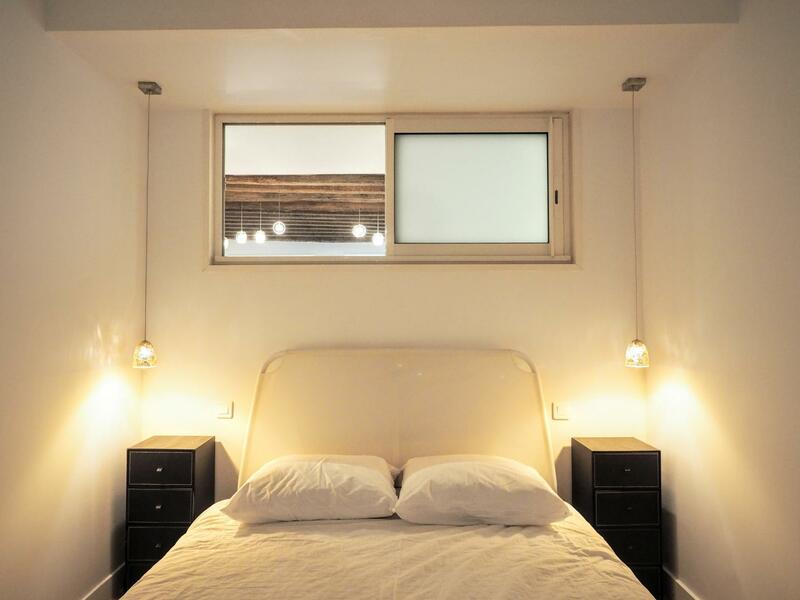 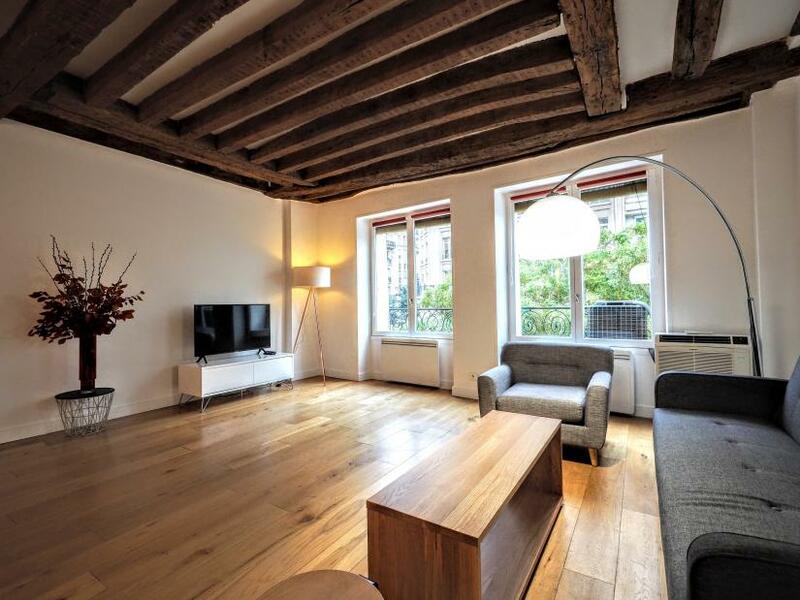 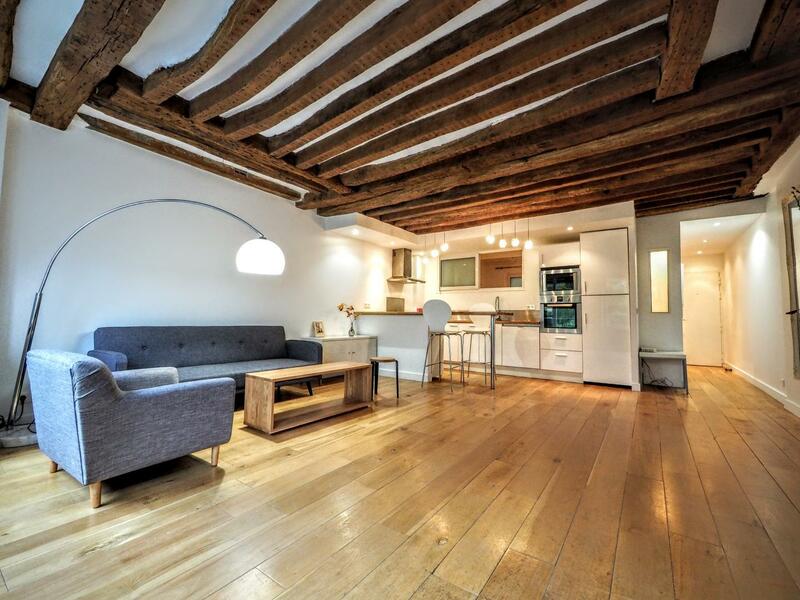 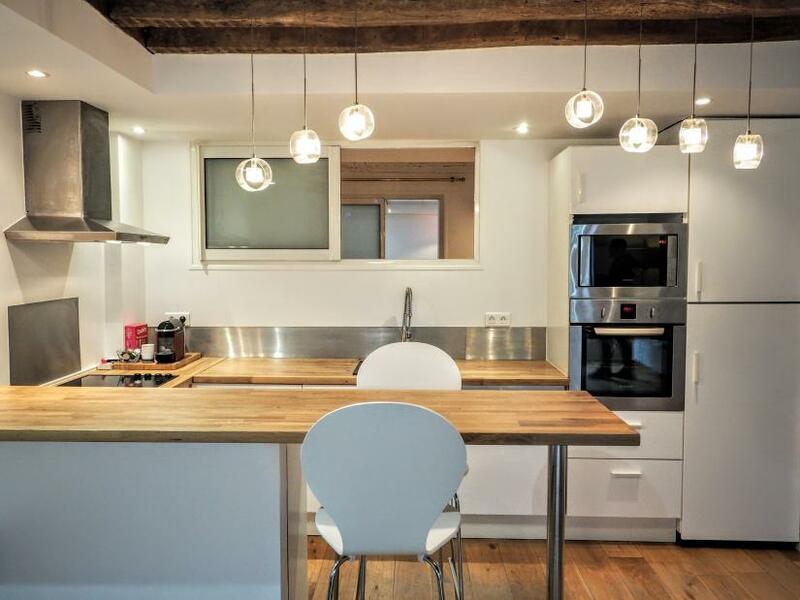 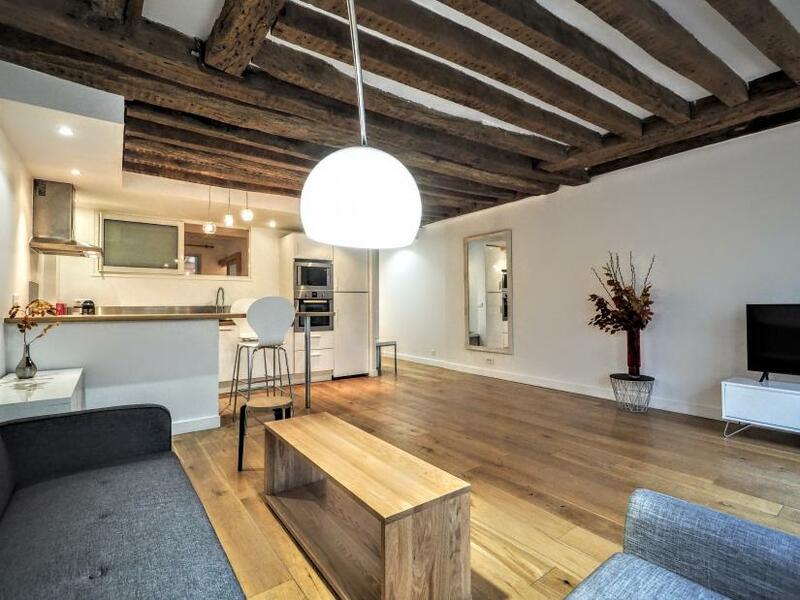 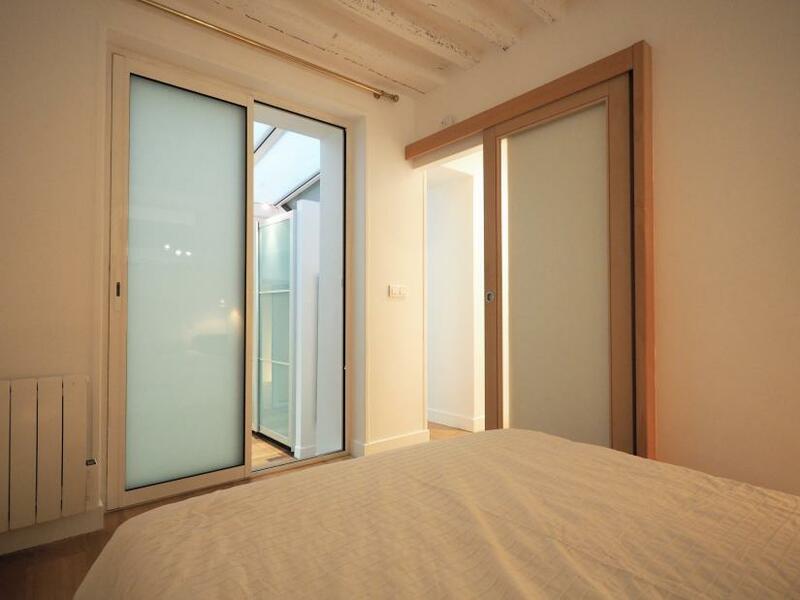 Here is a Paris 2 bedroom flat for rent perfectly located in the wonderful and lively Marais district, 2 steps from Beaubourg (Centre Pompidou). 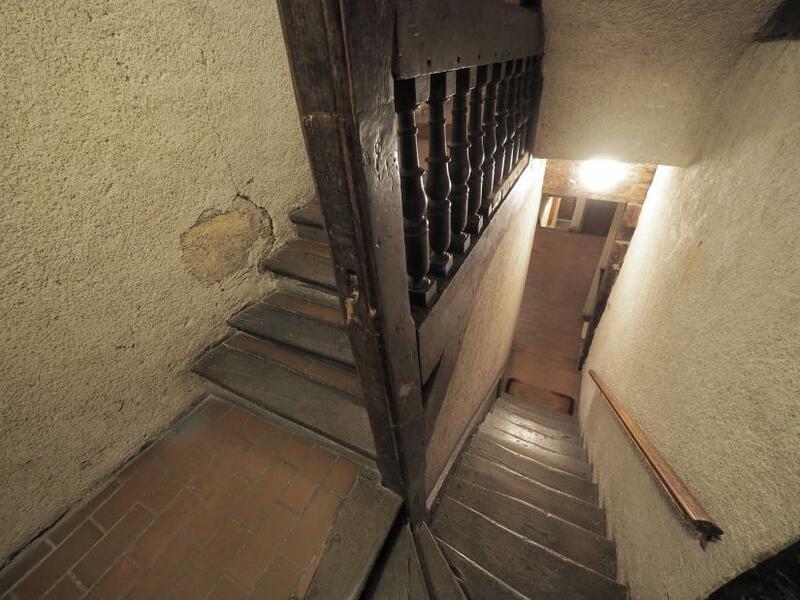 It is situated on the 2nd floor with no lift of a typical building. 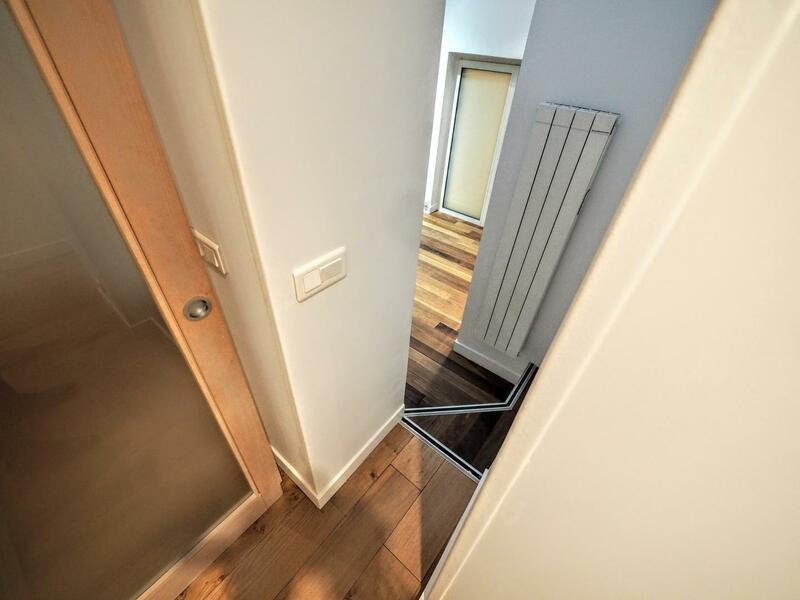 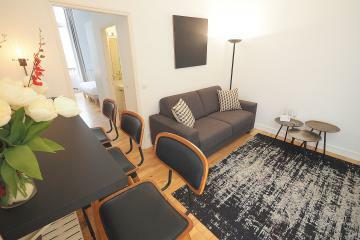 When entering the apartement you discover a spacious and bright living room offering 2 large windows on the street, a comfortable corner with sofa and TV, a fully equipped open kitchen with bar (Oven, microwave, dishwasher) and air conditioning. 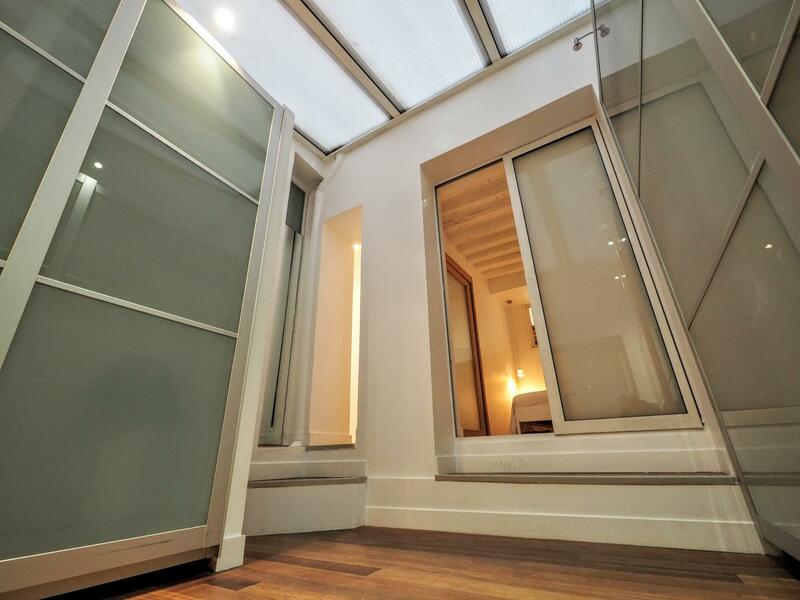 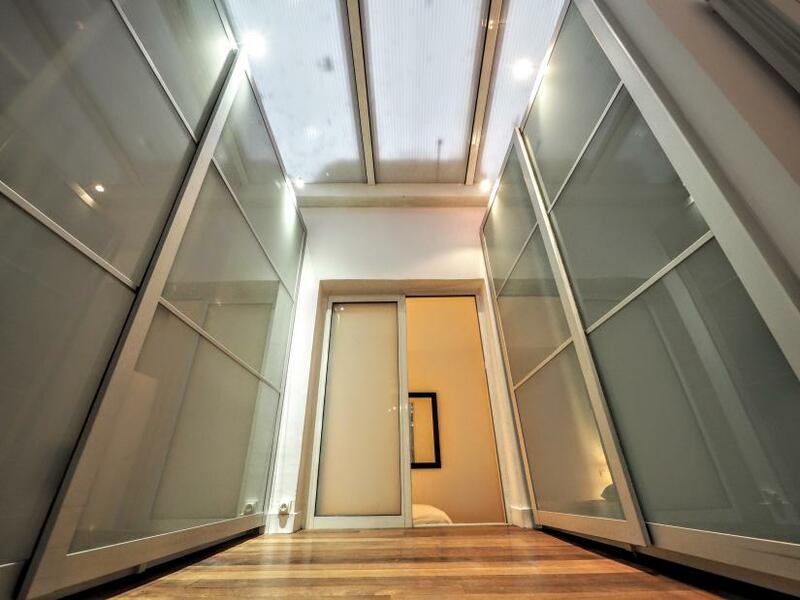 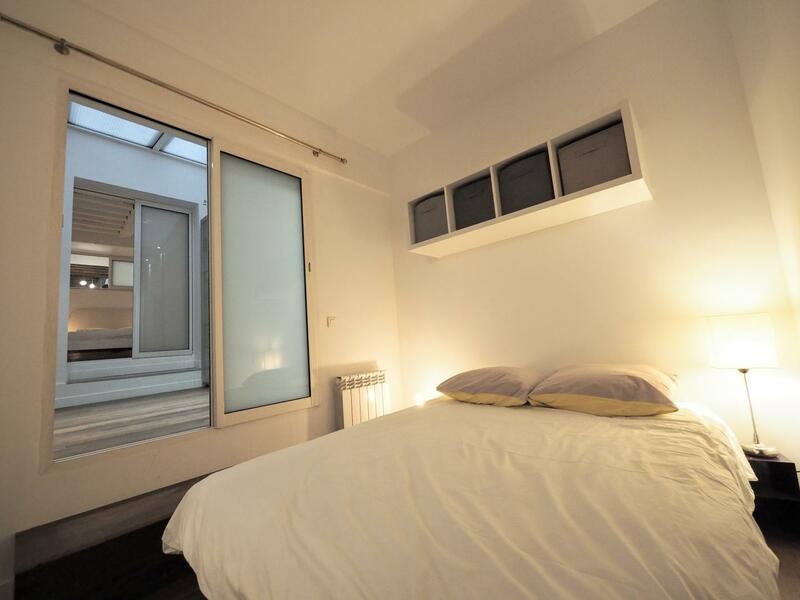 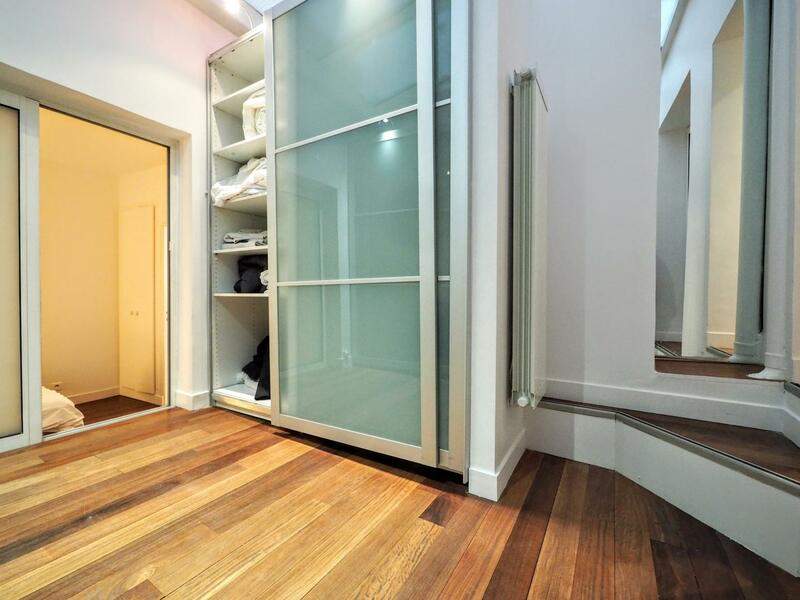 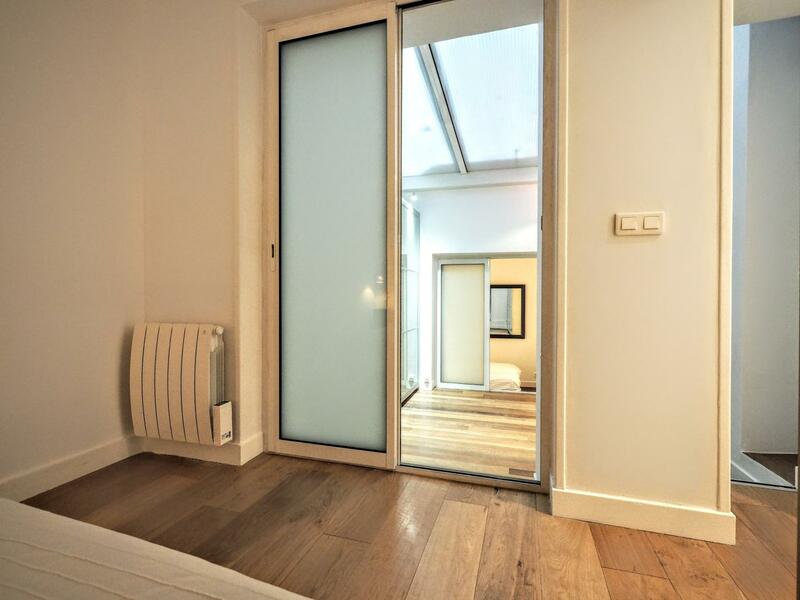 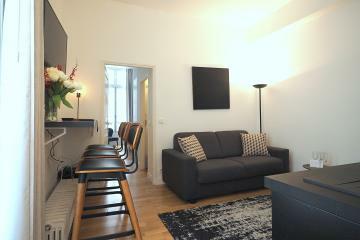 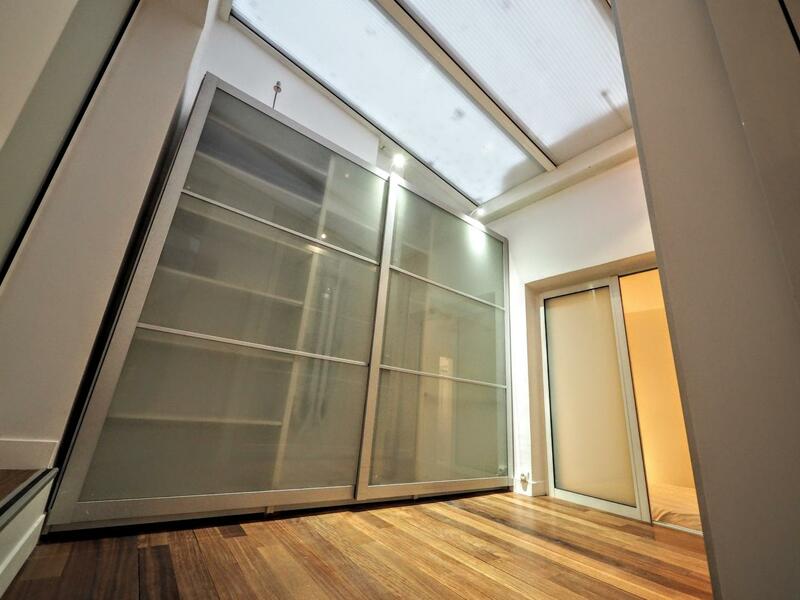 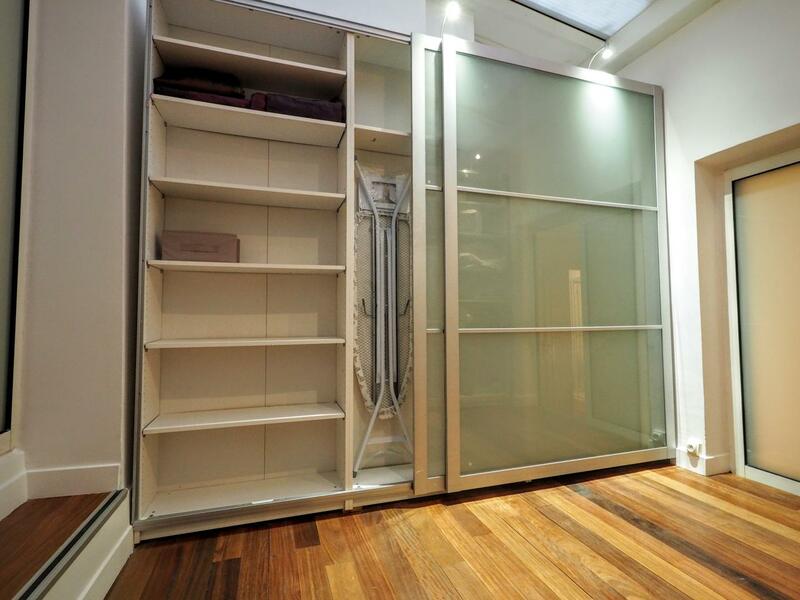 This apartment offers 2 Suites separated by a corridor with a glass ceiling which is also a large dressing room. 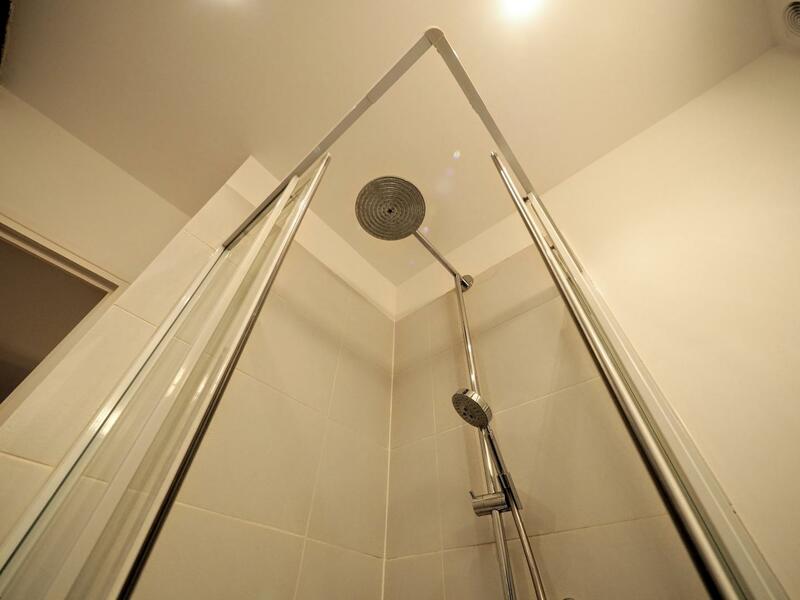 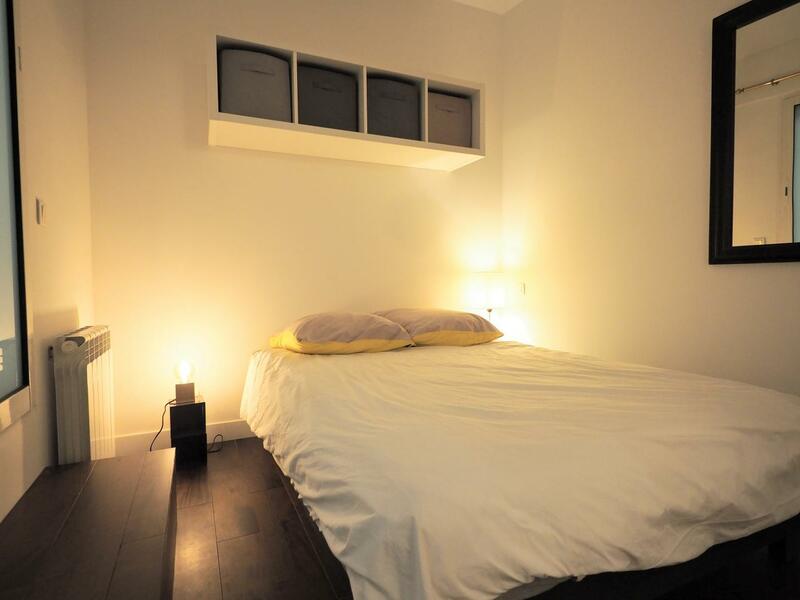 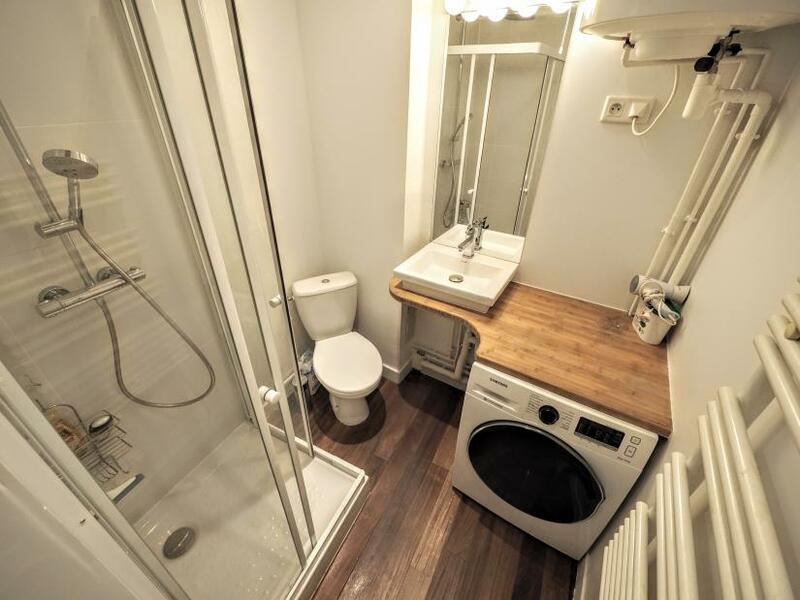 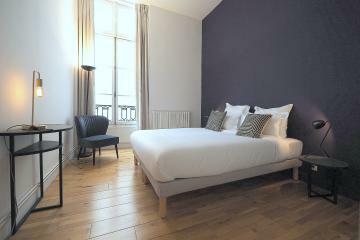 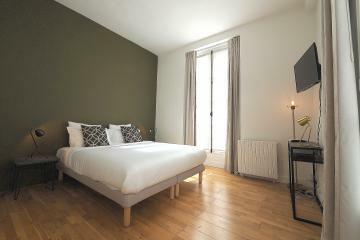 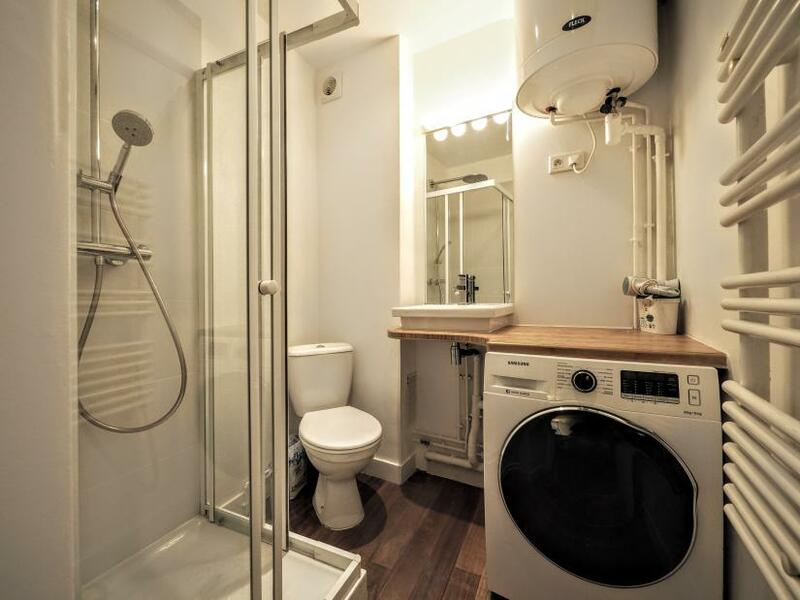 Each room has a comfortable double bed and its own bathroom with toilet, one with a washing machine/dryer. 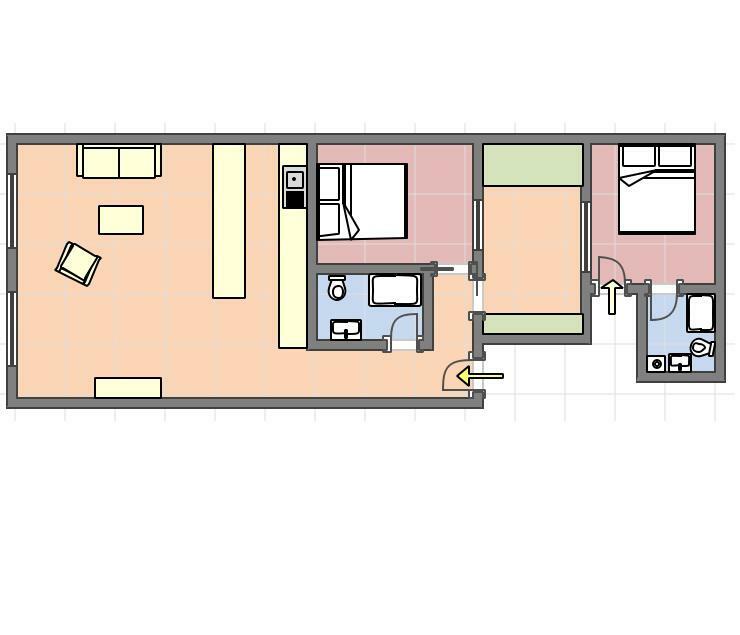 Please note the second room has a private entrance and a bay window on the corridor lit by the daylight (No conventional window). 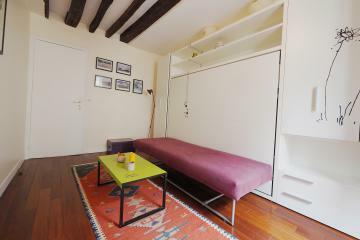 Spacious, bright, well organised and highly equipped, this apartment is a perfect opporunity for your next long stay rental in the center of Paris. 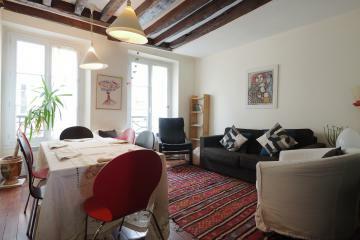 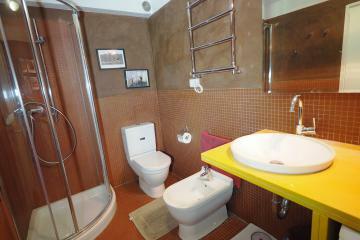 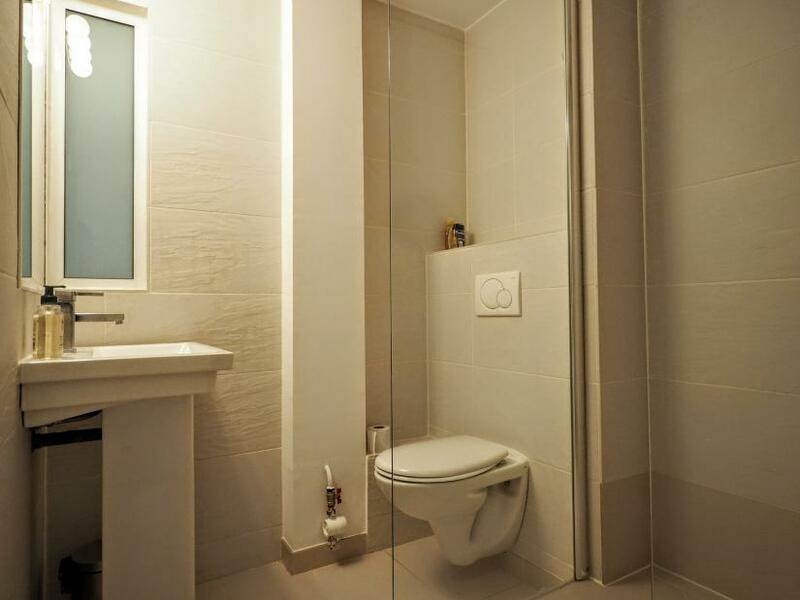 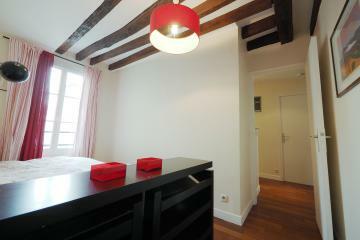 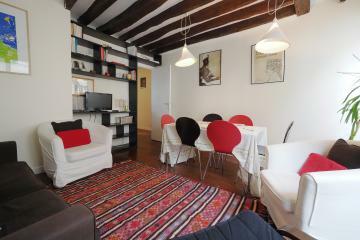 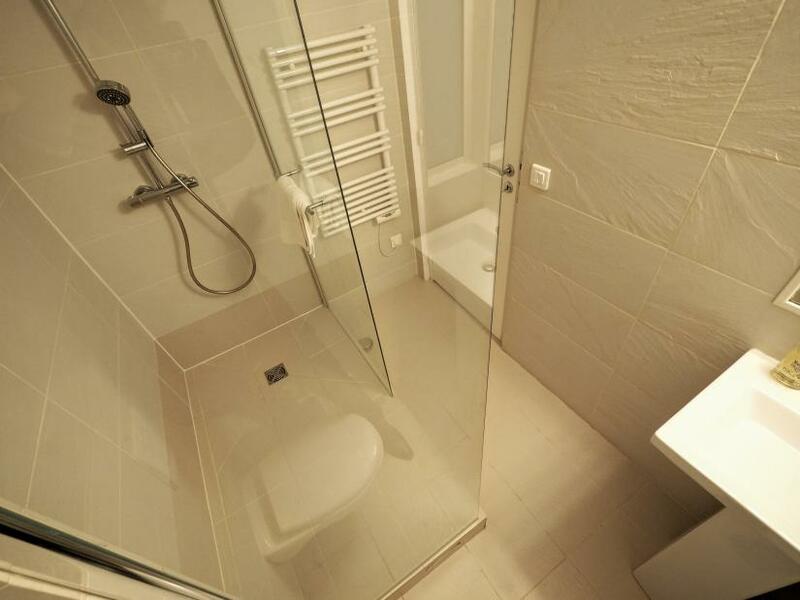 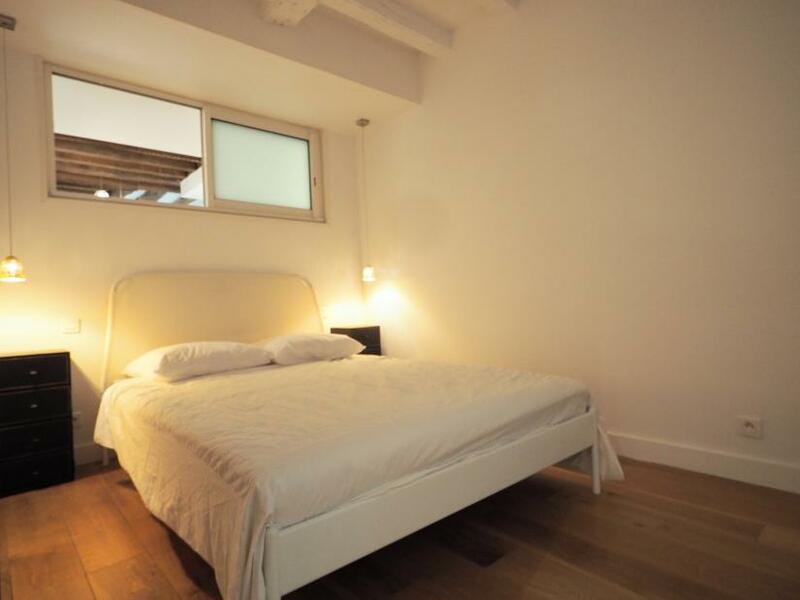 2 nd floor, without Lift, 2 bedrooms Appartement, furnished, Approx: 73m² / 785 Sq.Ft. 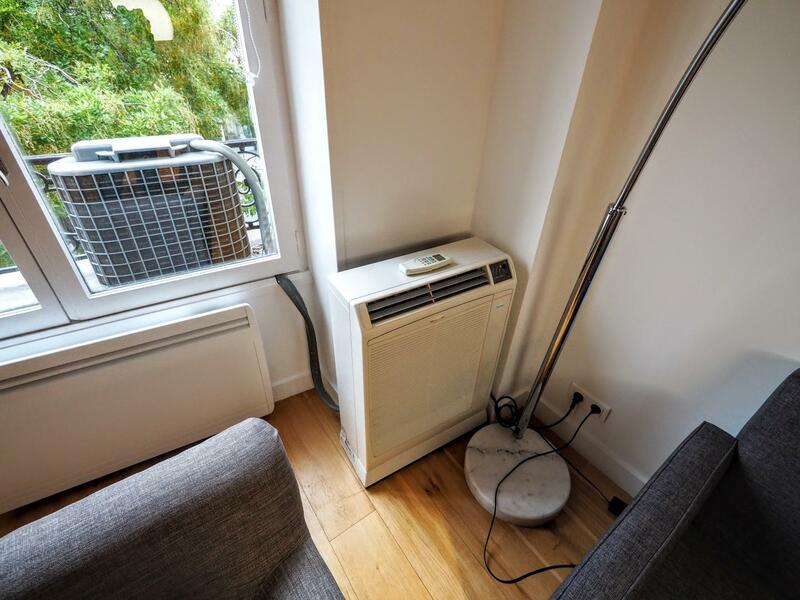 High security lock on front door,Air conditioning.